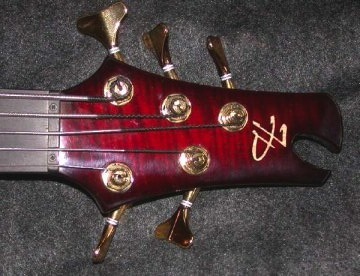 Here we have a 24 fret Prodigy V. This is Jerzy’s first bass with a “full” top, which hides the neck laminations. 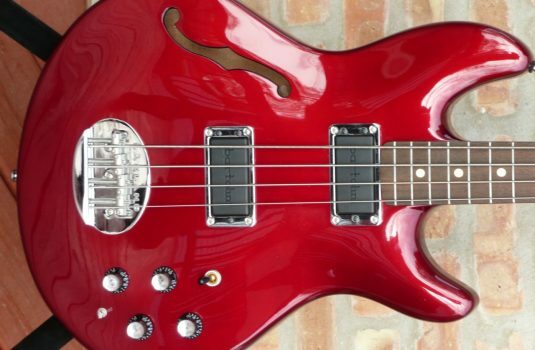 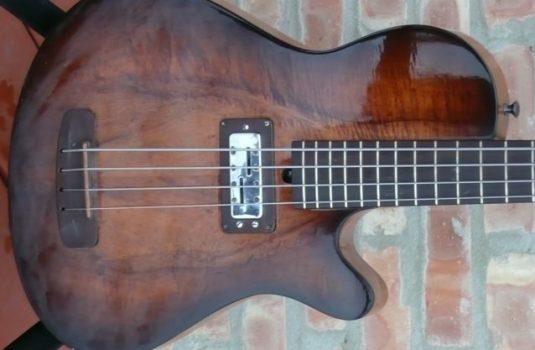 (I am a big fan of full tops on neck-thru basses – check out our recent Stambaughs) Like the new Prodigy VI , the top is Mukaly, the body Etimoe. 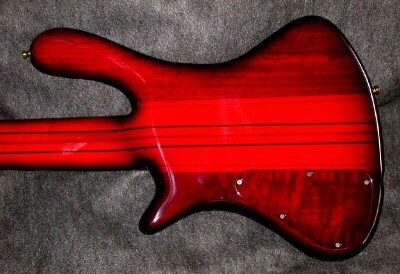 The high gloss finish I describe as Black Cherry. 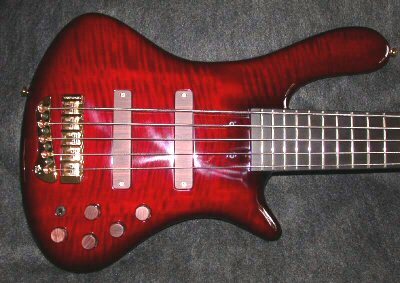 Rosewood pickup covers and control knobs are standard. 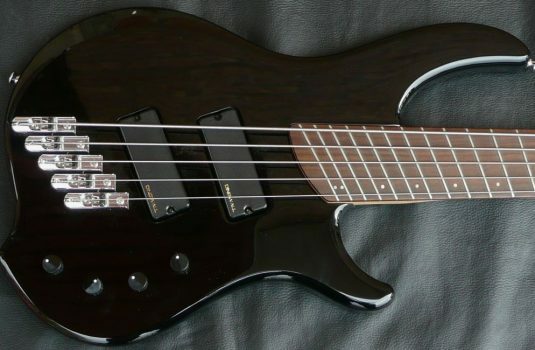 Also standard are Jerzy’s new pickups and an Aguilar 3 band preamp. 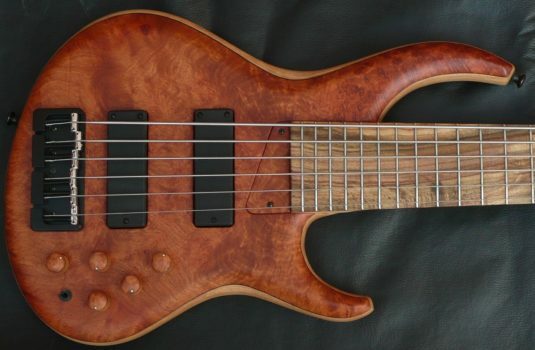 Normally the Aguilar is not my #1 choice for preamps, but it matches up very well with these pickups – the best I application I have heard for the Aggy pre.